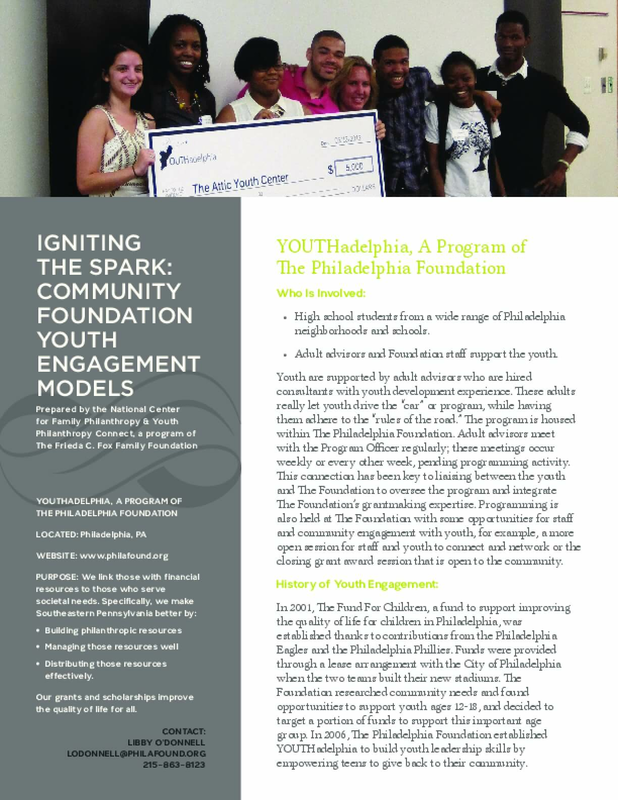 YOUTHadelphia is a unique youth philanthropy model, with a defined focus on mentoring among the cohort of youth, centered around the fact that newer youth are mentored by returning youth committee members. Meeting in a board room can feel quite corporate, so each cohort sets a youth-friendly time and environment, and holds a dedicated group session on race and class issues, before starting the grant process. This has encouraged thoughtful conversations among youth across backgrounds.